This week in batteries (TWiB): Should I get ready to buy a plug-in hybrid? Should I get ready to buy a plug-in hybrid? I work in Berkeley, CA, the tree-hugging, vegan-eating, Toyota Prius-driving, environmental sensitivity capital of the world. I live in Fremont, CA. This means I must drive 35 miles each way to work. Yes, you read that correctly—I drive 35 miles each way. Every time I hear about a plug-in electric hybrid vehicle (PHEV) capable of providing 40 miles of driving on its battery before the combustion engine kicks in, I salivate at the prospect of not having to apologize to all the classic “Berkeley-types” for my gas-guzzling lifestyle. So, am I going to be first in line buying a Chevy Volt? I don’t think so and here’s why: it will be expensive! Most people agree that for transportation applications, Lithium-ion batteries are the best option (more on this in a later post). Laptop Li-ion batteries cost ~$200 per kilowatt-hour (kWh), the most common measure of battery performance. This is for a single battery cell. We have to take a bunch of these cells to make a vehicle battery pack. Estimates suggest that the pack costs will be ~$450/kWh. Remember, these are laptop batteries, and if your laptop is anything like mine, this battery will last two years or less! But, let’s be optimistic and say that a PHEV battery will last four years. To drive 40 miles on the battery pack, you need 16 kWh (give or take). This means you have to buy a battery pack for the car costing about $7,200 (16 times 450). And you still need to buy the engine, brakes, steering, seats…you get the point. And every four years, at least, you will be visiting the dealership, waiting to change the battery and shelling out another $7,200. I wonder how many Berkeley-types will be willing, or able, to do this. Now, the batteries that General Motors will use will be much better than laptop batteries and will last a lot longer. But this also means that they will cost more. Now we start to delve into the unknown, but experts say that batteries capable of meeting the long-life requirement cost ~$1,000/kWh today. Given that, the same 40-mile battery will cost a whopping $16,000! Add on the cost of the car (~$25,000) and you get a ~$40,000 PHEV. News reports suggest that, indeed, GM is planning of a $40,000 launch for the Volt (note that government subsidies will get this cost down a bit, atleast for the early adopters). There is no way I can afford a $40,000 car with my LBL job (I will try this argument on my performance appraisal and see if I can get a pay hike). So no Volt for me. But here is the optimistic part. Experts also think that with mass manufacturing, it will be possible to reduce the costs of these long-life batteries to be on par with laptop batteries. Which means that we can expect to see the costs coming down to, say $8,000 per PHEV pack in the future. This would lower the cost of the car to about $33,000—still expensive, but closer to what I would be willing to pay. And remember that these cars will cost less to run (electricity is cheaper than gas) and, hopefully, cheaper to maintain (less wear and tear). But to really have a big impact, especially in getting widespread penetration in countries with large emerging economies such as India, these costs have to come down significantly, maybe by as much as a factor of two or more. And if we want to ever get to a pure electric vehicle, we will need a lot more energy (55 kWh instead of 16 kWh) and these costs have to come way down for these cars to be widely affordable. Fundamental research into battery energy, safety, and lifetimes are the only way we are going to achieve this. More on this in future posts. What does this all mean? There is a PHEV in my future. What I don’t know is how far in the future! In the mean time, I will continue to come up with new excuses for why I need to drive, and not take pubic transportation or move. If you have any smart suggestions, let me know. Great post, Venkat, and congratulations on the new blog, I think it is wonderful! PHEV or Hybrid seems to be cost effective and produce good ROI for small- mid scale transportation companies where cars are driven ~300 - 500 miles per day. An average consumer can then pitch in by supporting these companies instead of their counterparts (which drive a 8 cylinder Lincoln with a 4.6L engine to haul 1 passenger). great blog. you neglected one other thing: what kind of car do you drive?! How refreshing to hear about batteries without the hype, from a real expert! Here's another way to look at it: Venkat drives 70 miles per day. Assume 200 days per year; that's 28,000 miles in the two years before he has to replace the battery at $7,200. That comes to 26¢ per mile. Gasoline costs about 10¢ per mile. Some people in the US can afford the extra cost, for the good of the world. But according to the IPCC, global warming has been about 0.4C so far; about 0.15 is due to the US, and about 0.05C is due to our cars. So if we all switch to electric cars (which create less CO2, thanks to the fact that power plants are more efficient than autos), we won't do much to halt global warming. Electric autos will have a significant impact on world CO2 ONLY if they are cheap enough that China, India, and the rest of the emerging economies can afford them. That's because most of the future CO2 will come from the developing world, even if the US doesn't cut back. China's economy has been growing at 10% per year for the past 20 years, and their emissions now exceed those of the US -- although they still have much lower emissions per person. So CHEAP batteries are really what the world needs. But you have to include the lifetime and the replacement costs. Folks- Thanks for all the comments. I'm still learning how to use Blogspot and it sounds like I can only reply by adding another post. Paul- I do intend to cover the challenges for EV's and lay the groundwork for what scientific ideas can be pursued. Its happy to see someone blogging about this. An excellent blog. To add up on this, the government incentive for the Volt is expected to be around $7500 for the first generation buyers along with tax incentives every year. So with lower battery costs, it should be highly profitable (not to mention the eco - friendliness) in the longer run. I'm driving the Mini E which is powered by 18650 laptop cells. I have 19,000 miles in 7 months or so and no noticeable drop in range. I drive 130 miles a day. Pack size is closer to 30 kWh. I do charge at work but only with the slow charger, <1400 watts. The battery protection schemes in such a battery pack are more aggressive and sophisticated than in a laptop, particularly the cell balancing. I think your life estimate is quite short. The only significant issues have been cold weather charging (strictly electronic issues, not batteries) and the heater. JIm- Interesting. I would agree that you can do a great job of controlling the battery (especially the temperature) and get better life, but its hard to see these cells lasting more than 4 years. I assume you will keep us updated on the range on your Blog. Will follow. Venkat, thank you for your informative blog. I was wondering if you could dispell (or confirm) a common myth about the lifespan of laptop li-ion batteries. The myth being that if you keep you battery plugged into the laptop (or charging when it's already full), it will drastically decrease the lifespan of the battery. Is this true? Would you be able to write a post about what makes the lifespan so short? Its true. I will write something on this over the weekend. You say: PHEV or Hybrid seems to be cost effective and produce good ROI for small- mid scale transportation companies where cars are driven ~300 - 500 miles per day. It is exactly the opposite. Since the all electric range of a PHEV is only ~40 miles, these cars will still run ~90% on gasoline. There is very little cost advantage to justify the higher purchase price. PHEV's will be most advantageous to those with limited length, but daily trips. I primarily think of commuting city dwellers. Lots of stop and go traffic (very inefficient for a normal ICE car, so big fuel savings), and not too much distance to travel each day so most of the distance can be covered on electricity. Grady- I suspect that I will not be able to get into the freeway on a ebike! The cops will have a fit! My hope is to see an hydrogen/EV that I can charge at home from solar power. I laugh to think of commuters paying our local electric utility monopoly for their fuel (gasp)! I am excited to watch Honda's home generation of hydrogen. My calcs show 100mi of driving will require about 30kWhrs; about equal to my total consumption at my home. Any thoughts? Well, i guess i am ready to buy an ev now. I just hope these cars won't get damaged easily as being reported on some blogs. I think in the long-run, this long life batteries will decrease its value when the demand also increases. For now, we chose to buy cheap batteries but we should also consider life-span or its replacement costs. Before buying EV cars, you must consider many things such as electric car, the distance you can travel varies depending on several driving conditions -- the road, the hills, the traffic, the amount of braking. Should this car will last longer than our usual cars? I feel that the demand may very well increase for these batteries as well and therefore bring the price into a more resonable perspective. The major problem with the idea of electric cars is that the electricity to power them still comes from unsustainable sources and the power stations cause their own pollution. So while it will probably be an improvement overall to go electric, even with the increased amount of power stations we will need, then I am still waiting for hydrogen powered cars to break onto the scene before I get excited. Don't overlook the cons of owning a plug-in hybrid because of your enthusiasm for the idea. One disadvantage involves the battery pack. It carries a somewhat expensive cost and is relatively heavy and large. I feel that the demand may very well increase for these batteries as well and therefore bring the price into a more low. This is for a single battery cell. We have to take a bunch of these cells to make a vehicle battery pack. Experts also think that with mass manufacturing, it will be possible to reduce the costs of these long-life batteries to be on par with laptop batteries. How about the cost of the batties? How long did they last? And how about the cost to your electric bill at home? How much will they charge you at plug-in station? I do not beleive green is really green, it's going to hit you in the pocket once they have you. Hi Venkat - I'm curious if you decided to purchase an electric car yet? I think the NIssan Leaf is a promising choice, and I've seen a few Chevy Volts around as well. I know range (miles per day) is an issue, but still. Worst case a plug-in hybrid like the new Toyota Prius is a good option. Such a nice post. thanks for sharing. Keep posting. 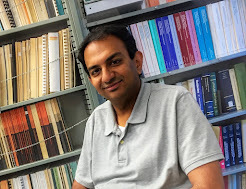 This Week in Batteries, TWiB for short, was started by Venkat Srinivasan with the encouragement of Berkeley Lab. The first post appeared on Feb 9, 2010. While the blog expresses the personal views of the author, Berkeley Lab helped with the layout of the blog, proof reading some of the early posts, and, more importantly, in plugging the blog in various social media outlets. The name, TWiB, was "borrowed" from This Week in Tech, the tech podcast. In hindsight, the "This Week" part was optimistic! My family also insists that this blog does not reflect their views and would like to officially state that they disown all that is here. The authors of this blog also reserve the right to contradict themselves frequently. In other words, this blog is worth the money you paid to view it. Pull the plug. Your battery will thank you. A boom. Then a bust. And now, a new equilibrium? Why I work at a National Lab. All you need to know about batteries: in a dozen tweets. Everything you need to know about batteries: In 600 words or less. Tips on extending battery life; from a battery guru. A Moore’s law for batteries? Maybe not.